Angel of Harlem | HarlemGal Inc. 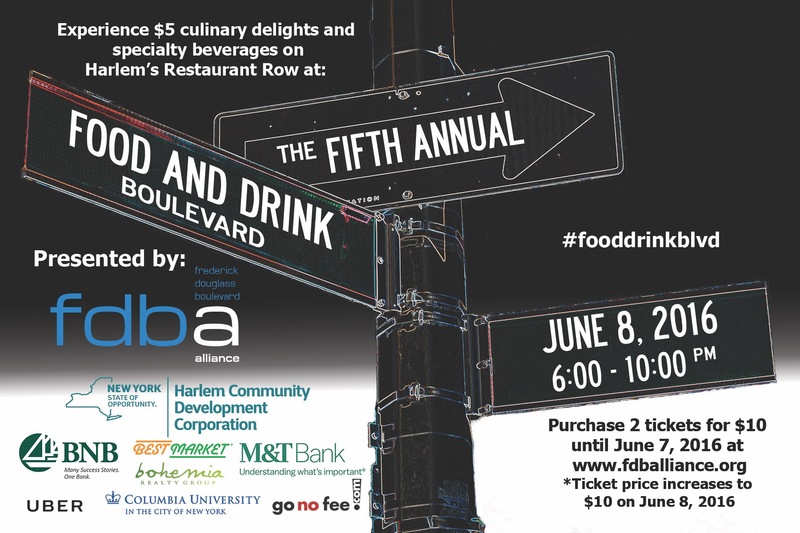 Tomorrow, May 10 from 6:00 to 10:00 p.m., the Frederick Douglass Boulevard Alliance will hold its sixth annual Food & Drink Boulevard event along Harlem’s Restaurant Row. This event invites local residents and visitors to explore restaurants and bars along the Frederick Douglass Boulevard from 112th to 124th Streets by reserving a wristband to receive $5.00 deals at 19 participating venues. To assist patrons in navigating up and down Frederick Douglass Boulevard, FDBA is offering free pedicab service to wristband holders, and a mobile device-friendly map that shows where all 19 participating restaurants and bars are located, as well as each businesses’ $5.00 menu offerings. To reserve a free wristband for the event, visit the FDBA website at http://www.fdballiance.org. On the night of the event, wristbands will also be available at Harlem Tavern, 2153 Frederick Douglass Boulevard on the corner of West 116th Street, and Angel of Harlem, 2272 Frederick Douglass Boulevard on the corner of West 122nd Street. 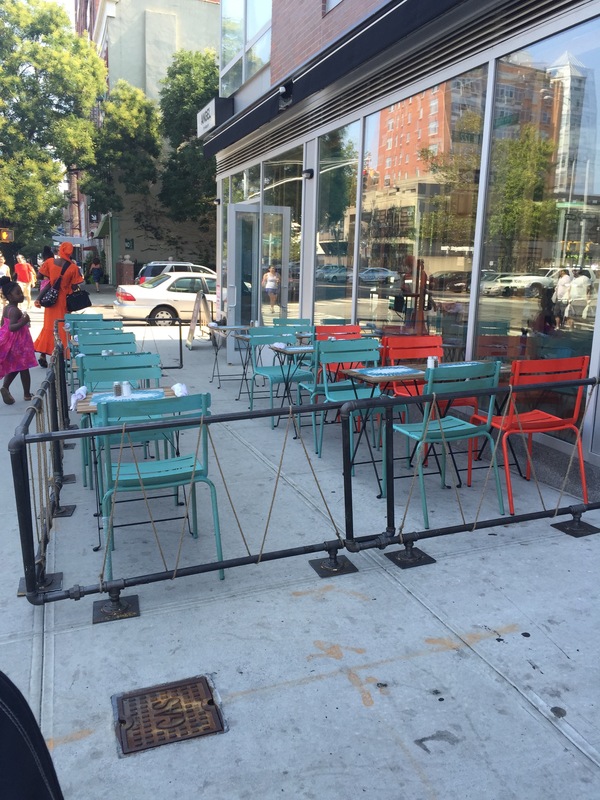 The Frederick Douglass Boulevard Alliance will hold its fifth annual Food & Drink Boulevard event along Harlem’s Restaurant Row on Frederick Douglass Boulevard from 110th to 124th Streets June 8. Participating bars and restaurants include 67 Orange Street, Angel of Harlem, Harlem Burger Co., Harlem Food Bar, Harlem Tavern, Hop House Harlem, Jado Sushi, L Lounge, Lido, LoLo’s Seafood Shack, Mess Hall, Row House, Silvana, Streetbird and Vinateria. The Frederick Douglass Boulevard Alliance is also partnering with Uber to provide free rides for up to $20 to ticket holders who are new users of the app, and will provide ticket holders who are new and existing users with $20 off their first UberPOOLride. Tickets to Food & Drink Boulevard will be sold online, starting May 16, at a discounted rate of two tickets for $10 until 11:59 p.m. on June 7, 2016, and will be available for purchase in person on the day of the event, June 8, 2016, for $10 each at Harlem Tavern, 2153 Frederick Douglass Boulevard on the corner of 116th Street. To purchase tickets to Food & Drink Boulevard starting May 16, click here. Need a place to brunch today in Harlem? 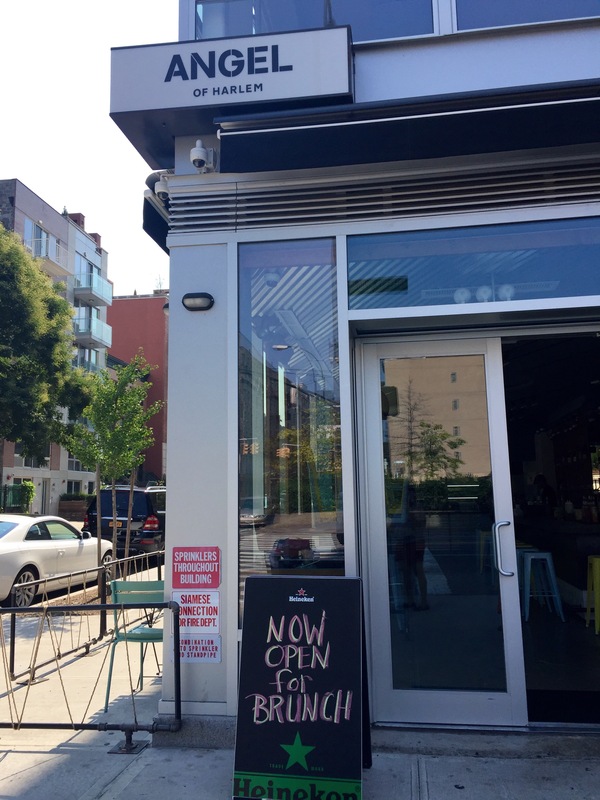 Angel of Harlem, not the U2 song but Harlem’s latest establishment to open on 122nd and Frederick Douglass Blvd., is now offering brunch! Check out meal options on their Instagram account!